Learning About . . . It took a while after the break-up of the Soviet Union in the late 80's for 'the Stans' to secure a solid place in the mental geography of people outside the Soviet world and, when I moved to Uzbekistan in 2001, most people had never heard of it. All that changed after September 11 and now people will have a vague awareness of the existence of countries like Uzbekistan, Kazakstan and Turkmenistan, countries that were, for so long, hidden behind the name 'Soviet Union'. Nowadays, the Russian Federation still hides a lot of smaller 'countries' within its borders and the Republic of Tatarstan is one of the most prominent entities of this Federation - nominally independent, it's still very much part of Russia, although many non-Russians won't even know that it exists. Ever since I lived in Russia, I've been quite fascinated by its 'Federal subjects' and Tatarstan is just one of the Russian Federation's 22 republics! It's very much 'the other Russia' - Muslim, historically a rival power to Moscow and, in recent years, one of the wealthier parts of the country. Although other republics like Chechnya and Ingushetia have captured the news headlines in recent years, I think if Tatarstan really became independent from Russia, it would be the beginning of the end for the Russian Federation. 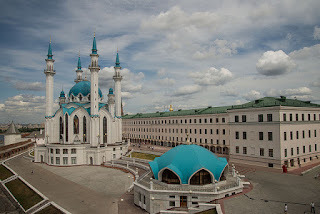 Having said that, Tatarstan's population is tiny compared to the rest of Russia (less than 4 million) and Moscow is careful to keep the power of the Federation flowing centrally, so regional capitals, like Kazan, the capital of Tatarstan, remain relatively unimportant backwaters. I also come from a European republic (Ireland) that is part of a federation (the European Union), but it would be a mistake to think of republics in the Russian federation in the same way and being nominally independent doesn't give Tatarstan a place at the world table of nations, nor does it mean that Tatarstan is seen as a nation globally. In terms of Tatarstan's place in the world, it's very much part of a strong and unified Russian state. Perhaps this explains why I'm already struggling to get a sense of the culture of Tatarstan and whether it's through books, movies or music, it seems as though all roads lead back to Moscow. As with many of the nations within Russia, Tatarstan has an officially sanctioned culture, but it's not at all globalised and I would need to be a Turkic language specialist to engage with the cultural outputs that are sanctioned by the Russian state. I'm not saying that Russia wilfully blocks access to the cultural achievements of Tatarstan, rather that anyone producing music, literature or movies in Tatarstan will need to go through Russian culture first, before it can reach a global audience. I think this is the sacrifice of belonging to a Federation and it seems as though Tatarstan doesn't have its own 'cultural conversation' with our globalised world. I'm deliberately talking about the 'culture of Tatarstan' here, rather than Tatar culture. Tatar culture is a more complicated thing, as there are Tatars all over Russia and Central Asia, including the well-known Tatar minority in Crimea. 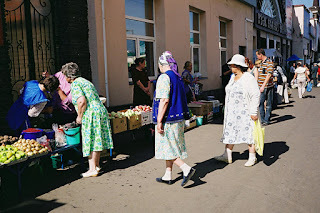 In my blog posts, I want to concentrate on issues, culture and people who are somehow connected to Tatarstan, whether or not they are also connected to Tatar culture. Interestingly, most artists, musicians etc that I have been able to find are only half-Tatar and I think that says a lot about a modern Tatarstan that has found its place in the world as a partner in the shadow of Russian culture. That's why I've called Tatarstan 'the other Russia' and I'm intrigued by the influence of Tatar culture on mainstream Russian culture - I believe that, whether people recognise it or not, cultural imperialism can flow both ways. Perhaps Tatarstan represents another side of Russian culture, which is Asian, Islamic and multicultural, whereas many people see Russia as European, Christian and monocultural. I've started my research by reading Daniel Kalder's book The Lost Cosmonaut (2007), an anti-tourist's account of his travels to Tatarstan, Kalmykia, Mari-El and Udmurtia. I think Kalder does Tatarstan an injustice in his description - I travelled to Kazan in 2007 and it's a more interesting place than he makes it out to be. Something I learned from Kalder's book though was that Kazan became very famous in the 1970's because of its gangs! Gangs were something that were pretty much unheard of during Soviet times and they were a social problem usually associated with the cities of the capitalist West, so Kazan's gangs brought turmoil to the otherwise compliant Soviet nation. Interestingly, these gangs became the building blocks of the corrupt form of capitalism that Russia has inherited from the Soviet Union and it was my first real piece of evidence regarding Tatarstan's influence on Russia as a whole. Tatarstan is situated at the heart of the Volga region and is, therefore, quite a suitable second choice in terms of my Learning about Russia. 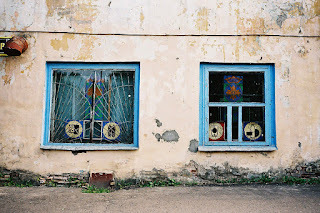 I first blogged about Russia (Urals Federal District) in 2010/11 and you can see an overview of the topics I covered on my final blog post about the Urals. I also quite sneakily referenced Kazan a couple of months ago, when I was blogging about the Solomon Islands, as Kazan was the host city for this year's FINA World Championships. I look forward to learning more about Tatarstan and Russia over the coming weeks and I hope you'll join me on my virtual learning journey. The image of Kazan kremlin is by Flickr member, Mikhail Koninin. Mikhail is from Novosibirsk and you can see more of his images on his photostream. 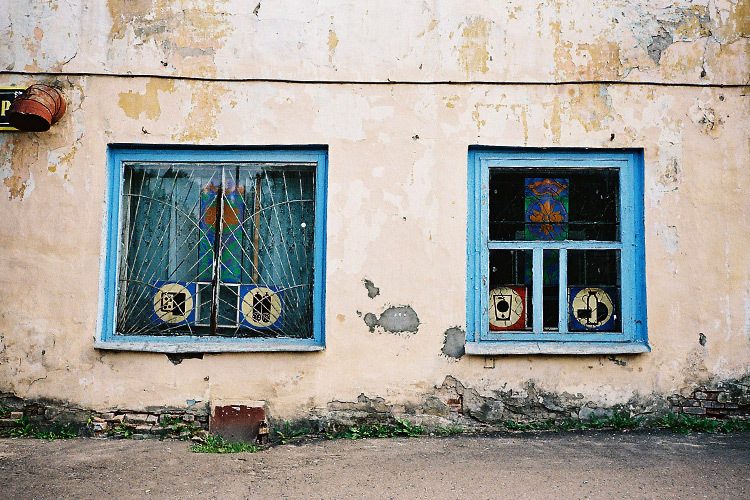 The images of the Kazan shop front and Kazan market are by Flickr member Nat Urazmetova, who is originally from Ufa in Bashkortostan, but now lives in London. Thanks to Nat and Mikhail for sharing these images with us, using the Creative Commons license. 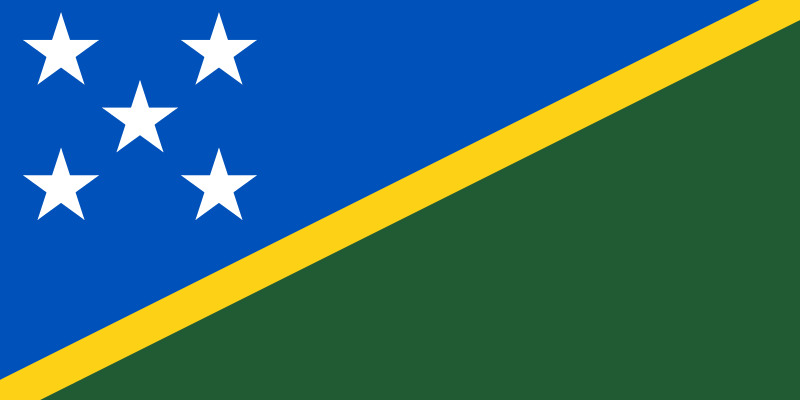 I've really enjoyed learning about the Solomon Islands over the past few months. We haven't had the greatest summer in England this year, so it's been nice to transport myself on a virtual journey to the soft seas of the Pacific ocean! I was starting from scratch with the Solomon Islands, to be honest, so I've learned a lot about this island nation and it intrigues me - I hope that, one day, I'll be able to visit for myself and understand the real context of everything I've been blogging about. To summarise my virtual learning journey to the Solomon Islands, I started with a bit of history and the first European contact with the islands, during the period of Spanish exploration in the 16th century. I also learned about the shameful 19th century tradition of blackbirding (kidnapping of Pacific islanders to work on plantations in Queensland) and the fascinating story of Jack Renton. August saw the FINA World Championships in Kazan, Tatarstan and I took this opportunity to learn about different swimming styles and the contribution made by the Solomon Islands to the Solomons/Australian crawl! In any virtual journey to the Solomon Islands you'll be sure to learn about the Pacific battles in World War Two. 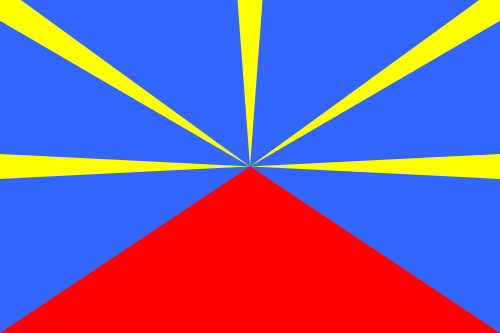 The seas around the Solomon Islands are full of wrecked battle ships and submerged aircraft, as Guadalcanal became a major theatre of war between the Japanese and Allied forces. As part of my research, I watched Terrance Malick's The Thin Red Line - a beautifully shot movie, which captures the surreal timelessness and brutality of war. I couldn't really find a national dish from the Solomon Islands that wasn't essentially palu sami (which I've made several times before), so I created my own dish, Pacific-style fish and chips, using ingredients that would be more common in the Solomon Islands. As usual, I did all of this with a fabulous soundtrack and I managed to find lots of great music from the Solomon Islands, including the lullaby Rorogwela which was sampled by Deep Forest in the early 1990's. Lonely Planet: Solomon Islands (1997) - ed. Mark Honan and David Harcombe - although this edition is almost twenty years old, I still found it very informative and, interestingly, it's hard to find a more modern guidebook on the Solomon Islands. I guess the rule of 'profit margins' has taken over and publishers are less keen to take on more exotic projects these days - in any case, I love reading guidebooks from the mid-90's as it coincides with the period when I started travelling and, therefore, leads me virtually down alternative paths that my life might have taken! Solomon Time (2002) by Will Randall is one of the few travelogues based in the Solomon Islands. The story of an English school teacher who gives up his life in the UK, to set up a chicken farm in Rendova, it was an amusing read, but I can't say I learnt a lot from this book. Devil-Devil (2011) by G.W. Kent - unfortunately, I didn't find time to blog about this wonderful book by GW Kent. 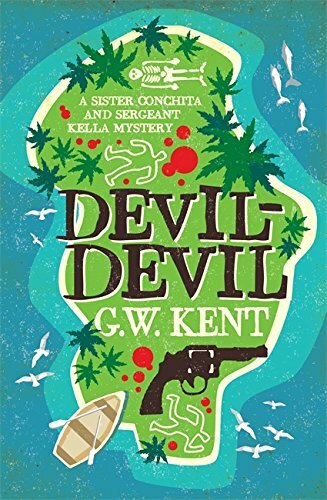 It's a detective novel set in Malaita and Honiara and I really enjoyed reading it, although I don't usually read that genre. I loved the characters and I learnt a lot about Solomon culture as well - I'd highly recommend this series of novels! The White Headhunter (2003) by Nigel Randell - a really informative and 'heavy' read, which I used for my blog post about blackbirding and Jack Renton. The Thin Red Line (1998) dir. Terrance Malick - see the link to my blog post on this above. Operation Pacific (1951) dir. George Waggner and starring John Wayne and Patricia Neal - this was a more traditional war movie and, as it turns out, was set more around the Philippines than the Solomon Islands. It was interesting to compare the approach to war movies in the 1950's, when everything was so romanticised and the late 90's, when the real horror of war was more in focus. It's not a bad movie, as they go and very typical of that era. Tanna (2015) dir. Bentley Dean and Martin Butler - the London Film festival is on at the moment and I've always intended to go to a showing, but somehow managed to miss this in previous years. Unfortunately, they didn't have any movies from the Solomon Islands on the programme this year, but they did have this wonderful movie from neighbouring Vanuatu, so I decided to watch it as part of my research into the Pacific region. It's set on the island of Tanna in Vanuatu and a representative of the community in which the movie is shot came all the way to London to talk to us about his culture and traditions. It was a truly memorable experience and it's a really beautiful movie. I'm going to try to make a visit to the London Film festival an annual outing that coincides with whichever place I'm blogging about in future (or as close as I can get, culturally). I always enjoy discovering new music, when I'm researching for this blog. I found quite a lot of music from the Solomon Islands, compared to other art forms like literature or movies, so I've made up a playlist of some of my favourites. Probably the most famous of all songs to come out of the Solomon Islands is the lullaby Rorogwela from the Baegu people in Malaita, which was sampled by Deep Forest on their 1992 album, Sweet Lullaby. The original vocal was recorded by a Swiss-French ethnomusicologist called Hugo Zemp when he travelled to the Solomon Islands in 1970 and the singer is a woman called Afunakwa. I was a big fan of Deep Forest when I was a student in the 1990's and I've always loved this song, although I had no idea of its connection with Malaita and the Solomon Islands. I'm also posting a YouTube video which has the original recording from a UNESCO Musical Sources collection from 1973. Solomon Islands is probably most famous for its traditional panpipe music and Narasirato, who come from the island of Malaita, are one of the Solomon's most famous panpipe groups. They played at festivals such as Glastonbury and Roskilde, so they're well known on the World Music stage. I particularly liked a song called Mato from their 2012 album Warato'o, but all of their stuff is great! I found this video on YouTube which will give you a flavour of their music. Also quite well-known internationally is a panpipe group called Wasi Ka Nanara and I really liked the song Soso Kakoi from their album Sounds of Paradise - Native Pan Flutes of the Solomon Islands. There's nothing like a soft panpipe breeze from the Pacific Ocean when you're making your way to the train station on a rainy London morning! I'm sharing a video from YouTube, which was made on a tour the band did in New Caledonia in 1998. 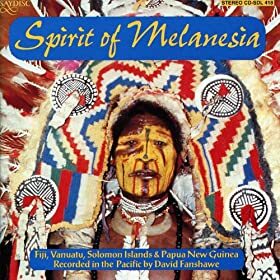 One of the most beautiful pieces of music I came across was, quite sadly, a funeral song, which appears on the 2011 album Spirit of Melanesia. The album features a collection of songs from Melanesia collected by the British ethnomusicologist, David Fanshawe, who had died the previous year. Fanshawe spent around 10 years travelling to the Pacific to record the music of remote islands in Melanesia, but also Polynesia and Micronesia. If you wish to hear the song, you can get an excerpt on its page at Amazon. When I was in Barbados earlier this year, I heard a lot of reggae music, as we were spinning around the island on the local shared taxis. There's something about reggae that seems to lend itself to tropical locations and I remember when I was blogging about Fiji back in November 2012, I was surprised to find that a lot of the most popular music there these days, is essentially a Pacific version of that very Caribbean sound! Reggae seems to be very popular in the Solomon Islands as well and I really liked the song Ta'Umai by Sharzy, a well-known artist from Simbo in the Western Province. This song comes from his 2010 album, Iu Mi Flow and is an interesting mixture of English, Tok Pisin and Simbo! Another great song for a rainy London commute! Another popular artist of recent years is Jahboy, a.k.a. Kirwan Hatigeva, who combines reggae with a bit of hip-hop. He's of mixed Melanesian and Polynesian heritage and I really liked the song Murderer from his 2012 album LuvNLife. I know it's a bit cheesy, but I developed a soft spot for the song Beautiful Girl by DMP. I find it really interesting in cultures that are incredibly masculine, how romantic the lyrics of male singers are sometimes and I can't imagine a woman singing a song about a man which has such a note of sad desperation! Anyway, it's kind of catchy and I'm posting a YouTube-generated video below, so you can hear for yourself. I wrote about the movie The Thin Red Line in a previous blog post and, whilst I was doing my research, I also listened to the soundtrack for The Thin Red Line written by Hans Zimmer, the German composer who also did The Lion King and Gladiator. My favourite track was The Lagoon as there is something quite haunting about this piece and it captures the slow-motion horror of the war in Guadalcanal, as well as integrating some native themes from the Solomon Islands. Although it's not traditional music from the Solomon Islands, I still felt it should be represented, as the Solomons and the war in Guadalcanal were the inspiration for the movie and its soundtrack. When it comes to food from the Pacific islands, it seems as though all roads lead back to palu sami. As I've made palu sami twice before (once when I was blogging about Kiribati in 2009 and again when I was blogging about Fiji in 2012), I was determined to cook something else this time! Unfortunately, my internet searches for the Solomon Islands' national dish came to a dead end - one website even suggested the Middle Eastern Kibbeh as the national dish of the Solomon Islands, but that just didn't seem right to me! So I improvised! Interestingly, whilst reading my blog post about cooking palu sami as part of my research on Fiji - I'd noted how far along my cooking had come since 2009 - that I was now able to improvise and didn't feel the need to stick to the exact recipe. Well, I guess this current recipe is a step further for me, as I'm not only improvising, but adapting one nation's dish and giving it a make-over with another nation's staple foods. I chose Fish and chips for several reasons - mainly because all my reading suggested that, despite their love of tinned meats like corned beef and spam, people do still eat a lot of fish in the Pacific islands. I also found out that people in Melanesia love sweet potato, so that gave me the idea of making sweet potato chips or wedges. Perhaps most importantly, I wanted to pay homage to the fact that the Solomon Islands were once a British territory, so my Pacific-style fish and chips is an attempt to capture the history, as well as the cuisine of this island nation. When I was researching for my blog posts on Oaxaca, Mexico - I first came across the concept of the Columbian Exchange - how European contact with Central America saw the introduction of tomatoes, potatoes, chillies, chocolate and many other crops to the diets of people outside the Americas. Unfortunately, the other half of the exchange meant death, disease and decimation of the native American populations! The interesting thing about the sweet potato is that it appeared in the Pacific islands before the Columbian exchange. No-one quite knows how the sweet potato ended up in places like Samoa, the Solomon Islands, Philippines and Japan, but somehow it happened and sweet potato has been a part of the Pacific diet for more than 1,000 years! The first thing I did was to prepare the sweet potato - peeling off the reddish-coloured skin and chopping the flesh into chips or wedges. I then parboiled the chips, before roasting them in the oven. I did think about deep-fat frying the chips but, in my (admittedly limited!) experience of Pacific-island cuisine, they seem to bake things more than fry them, so I thought baked sweet potato wedges would be the best option. Parboil the sweet potato chips . . I used fish fillets that had been frozen - defrosted them and marinated them for a couple of hours in lime juice, sprinkled with some rind. I decided to also bake the fish, so put the fillets into an oven dish, in the marinade liquid, covered it with tinfoil and baked it for about twenty-five minutes, at the same time as the sweet potato was baking. To prepare the ingredients for the sauce, I washed the spinach and chopped the tomato and onion. I fried the tomato and onion on a fairly high temperature, so they would make a kind of paste. I then added the spinach and coconut milk, bringing the mixture to the boil, before simmering for around twenty minutes. The end result was really rather tasty! Happy blogiversary! Six years of Learning about the World! Today marks the six-year anniversary of Learning about the World. I must admit that it feels like I've slowed down a lot in recent months. I moved to a new department at work in March of this year and a new role which has been quite demanding of my energy and creativity! Rather than giving up on my blogging, I've decided to continue at a slower pace. To date, I've blogged about 39 countries/places around the world, including four new places since my last blogiversary: Palestine, Quebec, Reunion and (not yet finished) Solomon Islands. Highlights of the past year have included listening to Palestinian music, discovering the movies of Xavier Dolan, reading in French and learning about the beachcombers of the South Pacific. My blog has had 64,284 page views, almost a 40% increase since this time last year. April this year saw the most page views ever in a single month at 2,582 so it seems that Learning about the World is more popular than ever! It's interesting to compare the top twenty countries to my blog this year with last year - in general it seems as though the blog has been steadily growing in popularity in places like Australia, Canada, Germany and France. Other countries seem to be losing interest (Saudi Arabia, Barbados, India), perhaps because my blog posts about those countries are 'older' now? There are some new entries to the top 20 list; Kenya, Russia and China, whilst a few other countries have dropped out of the top 20 list (Belgium, Brazil and UAE). The USA and UK continue to provide the majority of hits on my blog, with people in the US making up almost 35% of my readership in the past year. The blog has had visitors from 166 countries in total (9 new countries since last year) and the newest country to appear on my readership list was Cameroon in July 2015. Listened to countless hours of Palestinian rap, Leonard Cohen, maloya and Pacific reggae! I'm looking forward to another year of learning, reading, cooking, movie-watching and blogging - don't forget to join me! This blog is a record of my virtual 'learning journey' about this beautiful world of ours and the people who live in it. For each country or place that I learn about, I want to read a book by their most famous author, cook one of their traditional meals, listen to some of their music and spend a few weeks looking at the world through the eyes of another culture. Your comments are most welcome, especially if you have been to any of the places I'm blogging about.